Effective immediately, the Cayman Islands will no longer require visitors arriving with wedding dresses to place deposits on the gowns and other wedding apparel. The Cayman government announced this week that it has amended the customs tariff law to permit the duty-free importation of new and used wedding apparel by tourists arriving as part of destination weddings. Wedding dress fees became a hot-button tourism issue earlier this month when Scott McLean, an American traveling from Milwaukee with the wedding dress of his fiancée, a Cayman resident, was stopped at Cayman customs and asked to leave a deposit on the wedding dress. 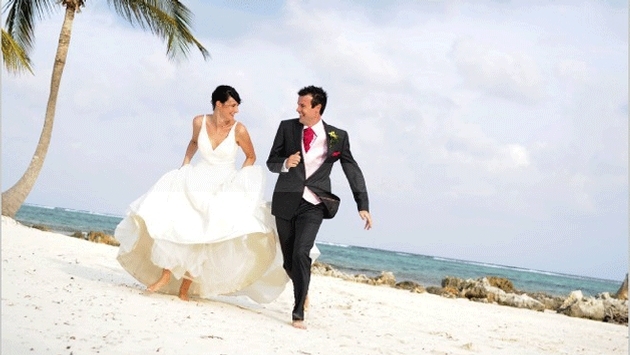 Cayman-based destination wedding services providers expressed surprise in local media reports when informed of the policy’s enforcement. The customs tariff law amendment takes place effective immediately and allows visitors traveling with wedding attire, including gowns and tuxedos, to bring the items to the Cayman Islands without incurring a duty charge. “It’s important we convey to all those invested in our wedding industry that the Cayman Islands is wholly dedicated to both maintaining our high quality standards, as well as to moving the industry forward as necessary, to ensure brides and grooms are provided with a superior experience while in the Cayman Islands,” said Oneisha Richards, deputy director of international marketing for the Cayman Islands Department of Tourism.